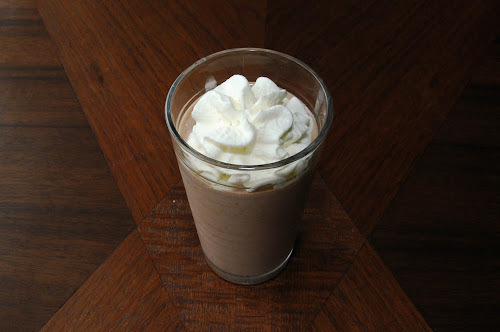 If only you could reach through the screen and take a sip of this milkshake! Filled with chewy cookie bits, the photos just don't do it justice. We had never heard of a peanut butter cookie shake...until we created it! 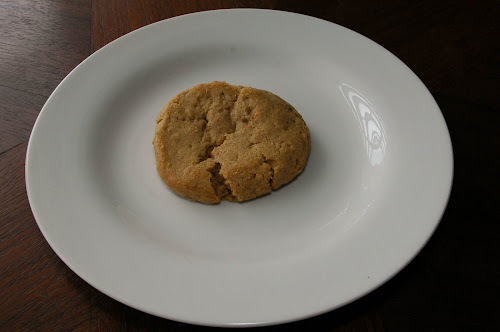 On this fine rainy afternoon, Anita came over with a bag of chunky, chewy peanut butter cookies purchased at Whole Foods. "They looked chunky, chewy and nutty" is her exact quote. You could see those peanuts. 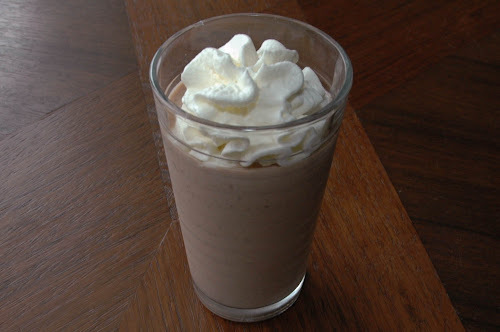 And we wanted to do something different with them and decided-why not try a cookie milkshake? How do you make this lovely concoction? 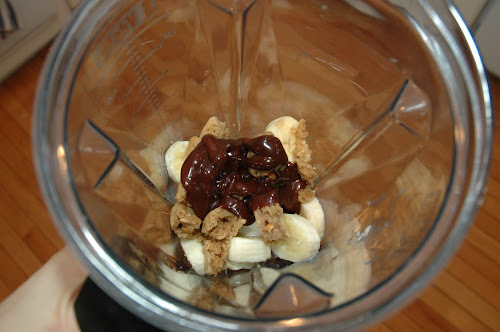 We added chocolate and vanilla ice cream, a sliced ripe banana, chocolate syrup, milk and the cookie! Don't over blend as the chunky cookie bits are the best part. And you get a shake that is creamy but with a pleasantly chewy texture- the cookie! 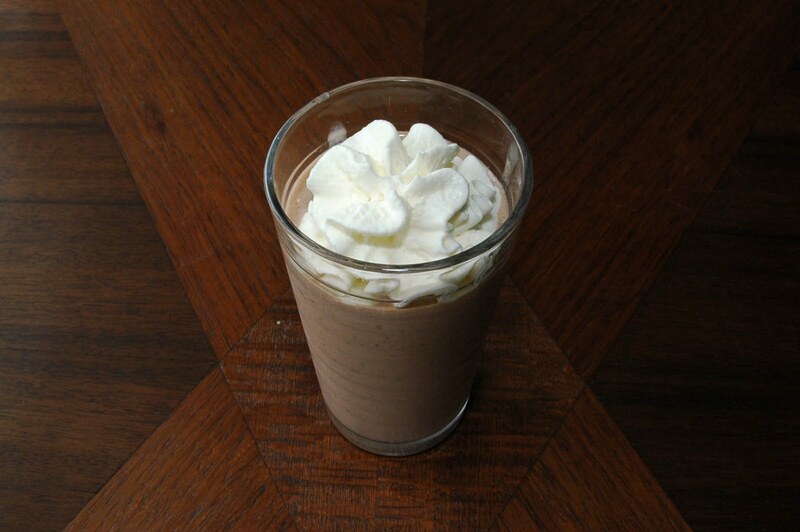 The ripe banana combined with the chocolate and the peanut butter goodness was the perfect combination for this sip of comfort food. We ate ours with a spoon!